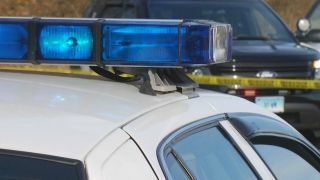 A 90-year-old man was struck and killed by a vehicle near San Francisco's Panhandle on Wednesday evening, according to police. The collision was reported at 5:22 p.m. in the area of Fell and Baker streets. A 28-year-old woman was driving the vehicle that struck the man, who was taken to a hospital where he succumbed to his injuries. He has been identified by the medical examiner's office as San Francisco resident David Grinberg. The woman was not arrested as a result of the collision.